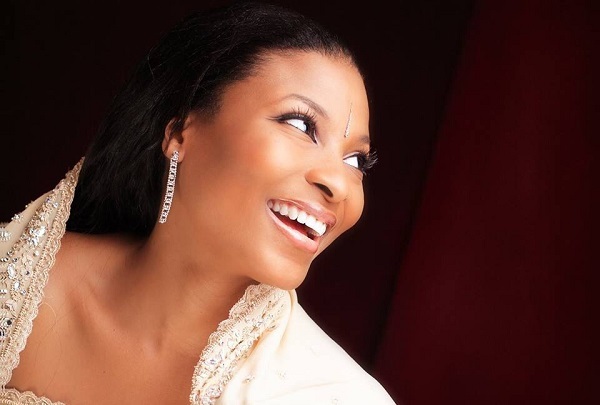 In January this year, the Ibidunni Ighodalo Foundation shared a news about a free grant for 20 couples who are interested in the IVF procedure, courtesy of a good samaritan. Even though that opening had over 2722 applications, Ibidunni is not deterred, she is hopeful that the couples are going to get a chance to do the procedure. “I’ve made up my mind, I’ve told God, ‘I don’t know how you’re going to do it but you have to do it’ and he’s gonna do it,” she told Adesuwa Onyenokwe as they discussed the topic, ‘Love of Others,’ on this episode of Seriously Speaking. 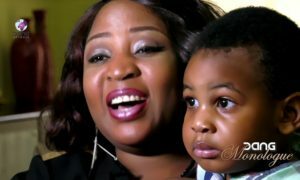 For a woman who has been struggling to have a child for 11 years to be a channel of blessing to other women, Ibidunni’s love for others is pure. Ibidunni gave a peek into her life and her journey to starting her foundation, an initiative created to “bring joy to the hearts of couples through their fertility journey.” She opens up about her own fertility journey; from going through IVF 11 times, the societal pressure, to finding happiness in the joy of women who passed through her foundation as well as in her adopted daughter Keke. This interview is a must read! It was born out of pain. When you’ve waited… when you get married you expect to just have children and everything just works out fine for you. But, when you start to wait… First year you’re not pregnant. I honestly thought, first six months I would be pregnant. I just thought, ‘ok, ok, it will come it will come’. I waited a year, two years and then I started getting worried. My husband wasn’t worried. He still isn’t. He keeps saying, ‘God is going to do it and whatever God is going to do, let it be left undone’. So I held onto that. But you know as a woman you never want to sit down and not do anything. So I started… I got worried, I’d go to the hospital, and I’ve been on this journey for 11 years now. It’s been tough. Especially because, in our society, they don’t spare you. They. Society. I mean, in-laws, friends. Sometimes it’s not intentional. It’s not on purpose. But when you are waiting on God for a child, you’re so sensitive that the little things that people do gets to you. They might not even know that it’s getting to you. And everybody is running around, doing school runs… your friends that you got married together, you guys are together, their kids are coming to yours and you get back home at night and it’s just you alone. It gets to a point where you just really want children. You want company. I mean your husband is your friend, he’s your best friend, but you guys go to work together, you come back… After a while you want to plan a family. You just want people. You want kids around you. Like I said, it was out of pain. After going through IVF 11 times. 11 times is not a joke when you’re doing IVF and I just woke up one morning on my birthday (I usually have this thing I do on my birthdays, I sit down, I pray, I have a conversation with God… ‘Last year of my life, I achieved this, I’ll love this to happen’… I write things down and we talk) and I said to him, ‘You know what, I am not doing this IVF again. How you’re going to do it, I do not know and I do not care but I am trusting you completely. And I heard something, ‘In the meantime, just go ahead and help as many people as you can’. I thought I didn’t hear properly and I thought to myself, ‘I should help other people while I wait’ and honestly, I felt life. I felt like, this is why I was born. And the meaning of my name is Ibi dunni, “sweet to give birth”, “sweet to have” and for the first time it was as though my life was playing in front of me. And I said ‘ok, I will obey this voice’. And I didn’t know how I was gonna do it, I didn’t have a clue, it’s never been done before, so I just said to God, ‘I’m trusting you on this journey, and I’m going to obey you completely and totally. You have to promise me something, that every single woman and every single couple that walks through this foundation, mentions this foundation, sees this foundation, you must give them a child’. The foundation has three children now. A set of twin and a baby girl. It’s one thing to have a dream and it’s another thing to actually carry (the children). When I carry them, it was as though I was carrying my own. When the mother gave me a hug, and she was crying, I felt her pain and I felt her joy. I cannot describe the feeling. It was priceless. Ibidunni: Oh, totally. I’m not waiting anymore. I’m a mother of many. My foundation has twins… I have three kids from my foundation, I have a daughter, a beautiful daughter God has blessed me with. Ibidunni: Yes. My goodness she’s a gift. She’s beautiful. GOD will put a smile on your face. So brave…. For your shame God will give you double.with your two hands you will carry your baby.Your effort will not be wasted IJN.God bless you ma. God is still in the business of blessing His children. He will do it.